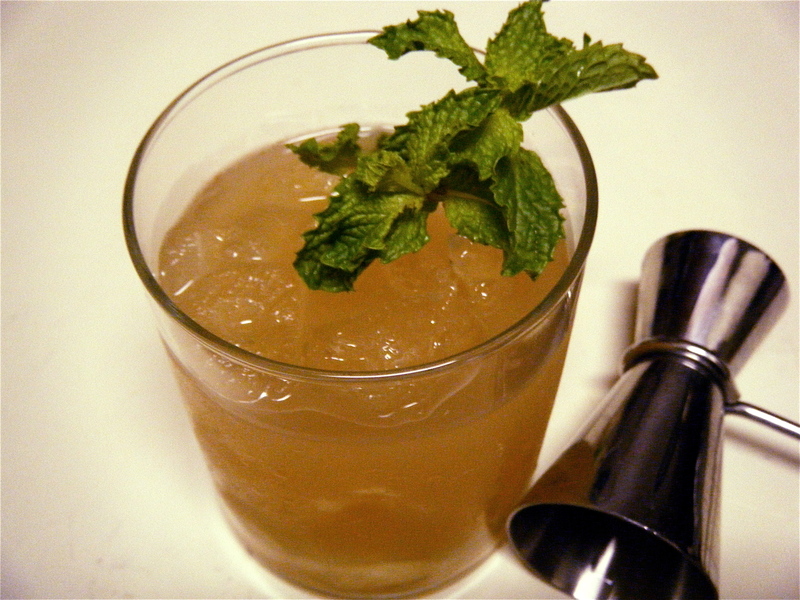 Drink: What Would F. Scott Fitzgerald Drink? I wrote an essay inspired by F.Scott Fitzgerald last fall for a school assignment. In my essay I took Scott (we were on a first-name basis by the time I finished writing the thing) out for a drink in present-day Baltimore. Scott lived (and drank) in Baltimore in the 1930s. I wanted to imagine what he thought about modern Baltimore and the craft cocktail trend. Through my research, I found out that gin was Scott’s drink of choice. His patron, Gerald Murphy, would mix a refreshing summer drink he coyly referred to as “Just the juice of a few flowers.” The drink was called the Bailey. Gerald’s (we’re on a first-name basis too) version was light on the grapefruit juice, used fresh mint, and was not sweetened. I adjusted the recipe to my taste (as one should do with any recipe) and used some of my mint syrup to impart flavor and sweetness.